Do you need to get your suspended driver's license reinstated fast? Not being able to legally drive for any amount of time can be very detrimental to a person's finances and lifestyle. Driver's licenses can be suspended for a wide variety of reasons. 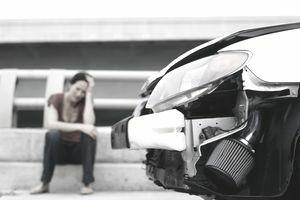 Licenses can be suspended for things like drinking and driving or driving without car insurance, or even things not related to driving at all, like failure to pay child support. Because driving is so important to many people, sometimes the state will suspend your driver’s license if you’ve done something really harmful to another person in order to get you to do/not do it again. The length of your suspension will be determined by the violation with which you were charged or the action that you are or aren’t doing, such as paying a ticket or your child support. The way in which you’ll need to go about getting a driver's license reinstated can vary from state to state, but the same basic steps often need to be followed. Having your driver’s license suspended is not a trivial matter, and the steps for getting it back might seem cumbersome – which you should remember the next time you think about doing something that could result in such serious consequences. Thankfully, in most cases, you’ll be able to get your license reinstated if you have enough patience. When your suspension period is nearing its end, follow these simple steps to getting it back. Purchase an SR 22 filing on your car insurance (if you don’t own a car, you can get a non-owner SR 22). Normal processing time can take up to 14 days in some states. Did you know your license could still be suspended even if you did not receive a suspension notice? Keeping your mailing address current with the Department of Motor Vehicles and the Department of Public Safety is important so you can receive your important mail. It is your responsibility to keep your address up to date, and simply changing your address at the post office is often not enough to ensure you get all of your mail. Reading your suspension notice is a fairly obvious step in getting your driver's license reinstated; keep this paperwork so you can use it as a reference throughout the process. The notice will tell you how long your license will be suspended for. This period could range from a few months to over a year, depending on how serious your infraction is/was. If you are delinquent on a payment, such as child support, your notice might stipulate that your license is suspended until you can catch up on your payments. Not all states offer or require defensive driving courses to get your driver's license reinstated, but it is definitely a good idea if your license was suspended for a driving-related reason, and it can help you keep your car insurance rates a little lower. Going through a class like this can take up a bit of your time, but is often offered at a low cost. Do not be afraid of an SR 22 filing. It is pretty easy to add to your policy, and the cost of the filing is minimal. All it does is link your car insurance to the state, so the state will know if you cancel your car insurance or change vehicles. The trouble occurs when you have a preferred insurance carrier, and your violations are more than what your policy allows. It might be time to switch your car insurance over to a high-risk insurance carrier. If you do not have car insurance, you will need to get it. Start by getting a minimum of two to three quotes. Ask the agent about any discounts you might qualify for such as driving low miles or being a member of a credit union. Buying the bare minimum coverage is usually not enough protection for most drivers. Check the prices on different limits of liability and medical coverage. Also, do not forget to ask about different payment options. Discounts often come with choosing to pay in full or sign up for automatic payments out of your bank account or credit card. No Car? A Non-Owner SR 22 Filing is Possible: A car insurance policy is available to drivers who do not own a car and do not drive any vehicle on a regular basis. It provides liability-only coverage for when you drive someone else's vehicle. It can be beneficial if you prefer to carry higher limits of liability than what your friends and family carry and if you want to keep your car insurance active while you are without a car. In this case, you want your driver's license reinstated, however, you are currently without a car. Of course, ​there are always fees when dealing with violations regarding driver's license suspension. States have their own sets of scheduled fees. Check your suspension notice, look on your state's Secretary of State website, or ask them in person to verify how much the fee will cost. Once you have completed all the steps required to get your driver's license reinstated, there could still be a waiting period. Some states allow up to 14 days for processing your paperwork. Attempting to drive before your reinstatement is complete is breaking the law. If you get caught, you will be charged with another set of significant violations which will extend your driver's license suspension. Do You Know if Your License is Suspended?